Tonight’s menu features special traditional dishes of the Italian region of Molise. Early-bird dinner seating begins at 5pm. Last dinner seating at 8:30pm. Free parking in our covered parking garage with your dinner reservation - call 206-418-6797. Open for brunch & lunch 11am - 2:30pm. Private event 3:00 pm to close. Caffè Musica presents Italian Music Night, 7-10 or so, Saturday, April 27th: Our favorite host, Lorenzo Gatto, is back from Italy and a full-house turned out in March to welcome him. Lorenzo and special guests bring a depth and breath of Italian popular music like nowhere else in Seattle. Join us for this lively night with some very talented Italian musicians. We open for dinner a 5pm. Reservations highly recommended to ensure a table - 206-418-6797. Free parking in our covered parking garage 6pm on with an advance dinner reservation. Caffè Musica presents First Sunday Jazz Jam, Sunday, May 5th, 5-7pm, no cover. Join us for a fun and festive dinner featuring a delicious array of Italian bites, and some great music. This month we feature the cuisine of the Italian region of Abruzzo. This open jam is hosted by Seattle Jazz Guitar Society and features skilled local artists on guitar, standup bass, and keys. Open to all instruments. Reservations advised. Free parking in our covered parking garage with your dinner reservation - call 206-418-6797. We open for dinner at 5pm, music is 5-7pm. Open for brunch & lunch 11am - 3pm. Private event 5pm to close. Caffè Musica presents Instrumental Ladies of Jazz, Friday, April 12th, 7-9pm, $10.00 cover: We are very pleased to feature some of Seattle’s finest female jazz musicians in this series. This month we are please to welcome back host Ann Reynolds (piano) who will team up with the very talented Jamie Maschler (accordion). The last time they played this show sold out quickly so please make your dinner reservations early to ensure a table. Jamie Maschler is an incredibly versatile musician who has played the accordion since she was four. She possesses a command of classical composers such as Tchaikovsky and Rachmaninoff, but is equally proficient in the rock, pop, and Brazilian music. She studied with three-time Latin Grammy Nominee Jovino Santos Neto and Brazilian culture continues to inspire her current projects. As a full-time accordionist she has played with the Seattle Symphony at Benaroya Hall and is a member of Seattle’s only forró band - En Canto, as well the duo, Gabe-Hall Rodrigues - Creosote. Jamie is a frequent guest performer and presenter of workshops on stylized Brazilian and Tango music at numerous festivals. Jamie works with accordion manufacturer Petosa Accordions, where she is able to share her passion and actively participate in the reinvention and face of the traditional Instrument. Early-bird dinner seating begins at 5pm, seating for dinner show begins at 6pm. Last dinner seating at 8:30pm. Tonight’s menu includes selections from our regular menu and specials featuring traditional dishes of the Italian region of Campania. Reservations advised. Free parking in our covered parking garage with your dinner reservation - call 206-418-6797. Caffè Musica presents First Sunday Jazz, Sunday, April 7th, 5-7pm, no cover. Join us for a fun and festive dinner featuring a delicious array of Italian bites, and some great music. This month we feature the cuisine of the Italian region of Molise. This open jam is hosted by Seattle Jazz Guitar Society and features skilled local artists on guitar, standup bass, and keys. Open to all instruments. Caffè Musica presents Bob Cerelli and Matt Benham, Saturday, April 6th, 7:00-9:00pm - $5.00 cover. This wonderful guitar duo will sooth your soul. We hope you can join us of a lovely evening of delicious dining and the enchanting sounds of these fine musicians. Early-bird dinner seating begins at 5pm, seating for dinner show begins at 6pm. Last dinner seating at 8:30pm. Tonight’s menu includes selections from our regular menu and specials featuring traditional dishes of the Italian region of Molise. Reservations advised. Free parking in our covered parking garage with your dinner reservation - call 206-418-6797. Caffe Musica presents Reggie Garrett and the Snake Oil Peddlers, Friday, April 5th, 7-9pm, $10.00 cover. One of our favorite trios return to stun us once again with their original repertoire of excellent music. Reggie Garrett is an extraordinary songwriter and musician. 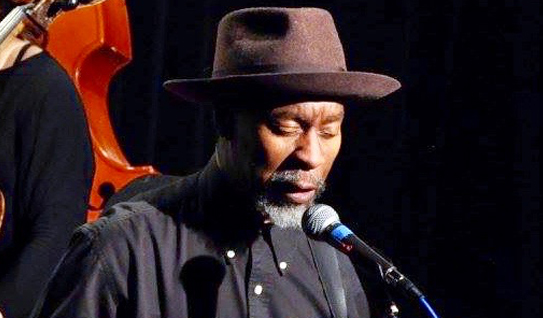 A purveyor of a unique urban strain of (mostly) acoustic music, Reggie incorporates a number of diverse influences, including: Folk, Latin, Blues, Gospel, Celtic, Rock, Jazz, and more. The result is a musical blend that has excited and touched audiences throughout the U.S. and Canada. Reggie has several albums to his credit. This is one of those not-to-be-missed groups if you enjoy this genre of music. They are truly one of Seattle’s BEST trios. Reggie Garrett (guitar & vocals) Will Dowd (percussion), Richard Middleton (guitar & keys). Caffè Musica presents Bob Cerelli and Matt Benham, Sunday, March 31st, 1:00-3:00pm - no cover. This is fast becoming one of our most popular lunch events. If you have family in town for Thanksgiving this weekend and are tired of cooking - come join us for a break from the leftover turkey and fun and relaxing afternoon of jazz. "Jazz guitarist and instructor Matt Benham traces his interest in jazz to the more progressive rock music he listened to as a teen growing up in Kirkland, WA. Guitar giants such as Jimi Hendrix and Stevie Ray Vaughan provided a gateway to the sublime sounds of Jim Hall and Howard Roberts. He fashions his approach from the seemingly contradictory styles of Ted Greene and Bill Frisell, sometimes sparse, sometimes lush, but always engaging. An active member of Seattle's jazz community, Matt's solo guitar work has provided the musical backdrop to events for March of Dimes, Microsoft, Ponder, Jazz Night School, and Bellevue Square Mall, and he can regularly be found at Seattle Jazz Guitar Society jams." "Bob Cerelli started playing guitar at a young age with his father on piano and organ, as well as with the other musical members of his family. He grew up listening to composers such as George Gershwin and Cole Porter. In addition to studying jazz, he has also studied classical guitar for several years. 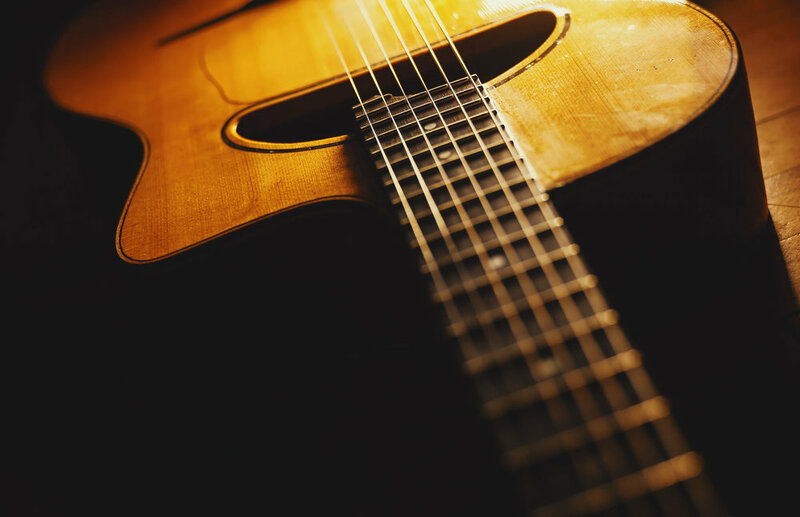 Bob is an active member of the Seattle Jazz Guitar Society, attending their bi-monthly jam sessions, a great opportunity for jazz guitarists to play with other musicians in a supportive environment. Recently, Bob has played several concerts with a local big band and is involved with monthly jam sessions with the Steve Jones Jazz group. He and fellow jazz guitarist Matt Benham recently formed a duo borne of their shared love for the jazz tradition, and the infinite challenges and rewards reaped by artist and audience alike." Caffè Musica presents Italian Music Night, 7:00-10:00pm, Saturday, March 30th: Italian Music night is back! Join us for a delicious apericena and as we welcome back from Italy, this evening’s host, Lorenzo Gatto, who will be joined by another special guest!! You won’t want to miss this lively night with some very talented Italian musicians. Caffè Musica presents a evening of Classical Music and Lazio Dinner, Saturday, March 23rd, 7:00-9:00pm. We serve some special dishes from Lazio this evening. 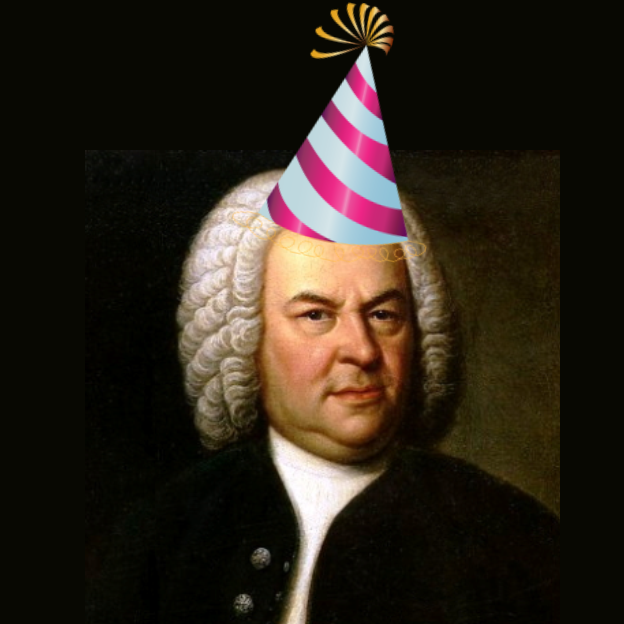 Join us for a delicious dinner and some classical music in celebration of the Bach in the Subways - Seattle event all weekend. Early-bird dinner seating begins at 5pm. Free parking in our covered parking garage with your dinner reservation - call 206-418-6797. 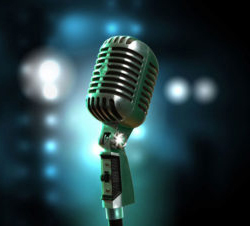 Caffè Musica Presents Classical Open Mic, Friday, March 22, 7 - 9pm: Have some great classical repertoire you’d like to share? All instruments, including voice, welcome this weekend in celebration of Bach in the Subways - Seattle - International event. With the exception of our JS Bach Program on Sunday any public domain classical repertoire is welcome. Sign-up in person at 6:30. Our venue can accommodate up to a 5-piece chamber group. Our regional menu is available all evening for dinner. Caffè Musica presents Bob Cerelli and Matt Benham, Saturday, March 16th, 7:00-9:00pm - $5.00 cover. This wonderful guitar duo will sooth your soul. We hope you can join us of a lovely evening of delicious dining and the enchanting sounds of these fine musicians. Early-bird dinner seating begins at 5pm, seating for dinner show begins at 6pm. Last dinner seating at 8:30pm. Tonight’s menu includes selections from our regular menu and specials featuring traditional dishes of the Italian region of Lazio. Reservations advised. Free parking in our covered parking garage with your dinner reservation - call 206-418-6797. Caffè Musica presents Instrumental Ladies of Jazz, Friday, March 15th, 7-9pm, $10.00 cover: We are very pleased to feature some of Seattle’s finest female jazz musicians in this series. This month host Ann Reynolds (piano) will team up with multi-instrumentalist, Tobi Stone. Stone plays all saxes, clarinet and flute. She has been teaching in Puget Sound for 20 years. Over the last 22 years, Tobi has performed professionally with many different bands in many different settings. She toured and recorded with The Tiptons Sax Quartet and Drums in Europe and in the US, from 2002-2007, and with Reptet Jazz Septet in the US, from 2001-2008. She performed regularly at Benaroya Hall and Kirkland Performance Center with Seattle Repertory Jazz Orchestra 2012-2015. She has played with The 5th Avenue Theatre and on live radio and TV broadcasts for KEXP, KPLU, Seattle Joe TV, and KING 5 TV. Caffè Musica presents Italian Trivia Night, Thursday, March 14th, 9-11pm: Join us for the kick off of this fun night complete with choices from our apericena menu or monthly regional menu from 5pm to close. Trivia activities are from 9-11pm. We welcome suggestions and topics from all you trivia aficionados. Come join in the fun and learn stuff. Caffè Musica Presents singer-songwriter PJ Rogue, Thursday, March 14, 7-9pm: We hope you can join us for this special evening with Hudson, MA singer-songwriter, PJ Rogue, aka Paul Rogoshewski. PJ is an eclectic writer in the genres of folk, americana, and indie. This is his first performance at Caffè Musica and a rare opportunity to catch him on the west coast. Music is 7-9, we will serve an apericena (Italian buffet) all evening in addition to some regional dishes made to order. Afterward we kick off Italian trivia night 9-11. Free covered parking in our parking garage with your dinner reservation. For reservations please call 206-418-6797. Caffè Musica presents a Scopa Tourney and Apericena, Sunday, March 10th, 5pm to close: Join us for our March Scopa tournament. In case you haven’t played, Scopa is a very fun Italian card game and a lovely excuse to have fun with friends while enjoying a delicious apericena. Our tourney will happen every Sunday through the month of March with the final games happening the last Sunday of March. Prizes for those individuals and teams with the highest point accumulation. Full details available at the event. You need not attend every Sunday, but must play at least three games. The top 3 highest game cards from all your plays will be considered for the prize mix. Caffè Musica Presents an Open Mic & Tribute to Local Artist Linda Waterfall, Saturday, March 9th, 5pm to close, no cover. Join us for some delicious food and drink and music. Tonight we’ll serve our March menu and other goodies as we pay tribute to a great local artist. If you play bring an instrument, a favorite reading or poem, or story to share. No need to bring extra gear. We have a PA, backline, an acoustic piano, two nice acoustic guitars, a Fender Tele — plenty of tools for music making. If it is raining or snowing remember we have free covered parking in our parking garage. We hope to see you. Reservations and Information, 206-418-6797. Caffè Musica presents First Sunday Jazz Jam, Sunday, March 3rd, 5-7pm, no cover. Join us for a fun and festive dinner featuring a delicious array of Italian bites, and some great music. This month we feature the cuisine of the Italian region of Lazio. This open jam is hosted by Seattle Jazz Guitar Society and features skilled local artists on guitar, standup bass, and keys. Open to all instruments. Caffè Musica presents an afternoon of jazz, Sunday, February 24th, 1:00-3:00pm - no cover. Join us for a delicious lunch and some live jazz featuring a dynamic guitar duo — Matt Benham and Bob Cerelli. This is a truly relaxing, feel good afternoon and you’ll have a chance to indulge in some yummy lunch specials of our featured Italian region. Private event for friends and family of E. A. Rescheduled due to weather conditions: Caffe Musica presents Reggie Garrett and the Snake Oil Peddlers, Friday, February 8th, 7-9pm, $10.00 cover. One of our favorite trios return to stun us once again with their original repertoire of excellent music. Reggie Garrett is an extraordinary songwriter and musician. 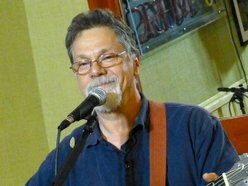 A purveyor of a unique urban strain of (mostly) acoustic music, Reggie incorporates a number of diverse influences, including: Folk, Latin, Blues, Gospel, Celtic, Rock, Jazz, and more. The result is a musical blend that has excited and touched audiences throughout the U.S. and Canada. Reggie has several albums to his credit. This is one of those not-to-be-missed groups if you enjoy this genre of music. They are truly one of Seattle’s BEST trios. Reggie Garrett (guitar & vocals) Will Dowd (percussion), Richard Middleton (guitar & keys). Caffè Musica presents First Sunday Jazz Jam, Sunday, February 3rd, 5-7pm, no cover. Join us for a fun and festive dinner featuring a delicious array of Italian bites, and some great music. This month we feature the cuisine of the Italian region of Calabria. This open jam is hosted by Seattle Jazz Guitar Society and features skilled local artists on guitar, standup bass, and keys. Open to all instruments. Reservations advised. Free parking in our covered parking garage with your dinner reservation - call 206-418-6797. We open for dinner at 5pm, music is 5-7pm. Last dinner seating at 8pm. .
Saturday, January 27 2019: Open 9am - 3pm as usual for for breakfast, brunch, and lunch. Closed in the evening for a private event. Saturday, January 26 2019: Open 9am - 3pm as usual for for breakfast, brunch, and lunch. If you've been lucky enough to venture along the Amalfi Coast, visit the ancient sites of Pompeii or Herculaneum, boated to the Islands of Capri, Ischia, or enjoyed a delicious pizza in Naples, you’ve been in Campania. Its coastline is the Tyrrhenian Sea and it is bordered by Lazio (NW), Molise (N), Apulia (NE) and Basilicata (E). One of Italy's most populous regions, Campania boasts it is Italy’s largest producer of a food central to the Italian diet - the tomato. Its lands produce mainly fruits and vegetables and this region is also home to the magnificent Mount Vesuvius volcano. We hope you can join us for a special night of indulging in some great recipes and wine from this wonderful region. It will be complete with some nice music and candlelight. 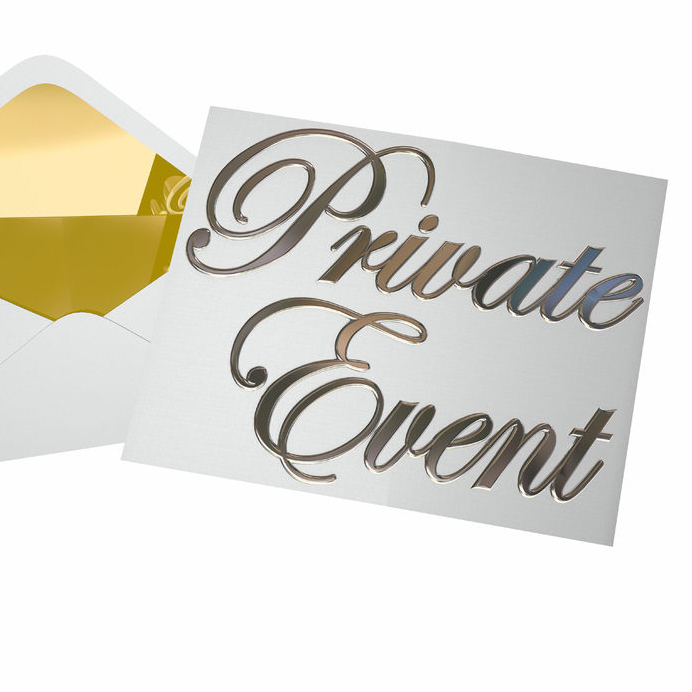 January 20th 2019: Closed 9am to 3pm for a private event. We re-open at 5pm for regular Sunday dinner service.